CSX Corporation is a company that deals mostly in real estate and transportation, specifically railroads. As a current shareholder who watches the CSX quote, you probably already know this. You may also be wondering what the outlook is for the future. This article will provide you with some information on what to expect of CSX in upcoming years. More specifically, we will see what it means particularly for you, the shareholder, and investment groups like Jupiter Asset Management. To be frank, business was not booming in past years. In response to declining shipments, CSX had to make some moves to cut costs and mitigate project risks. While it is understandable for a business to have a bad year, if this poor performance starts to form a pattern it could spell trouble for investors like you. As the market moves away from coal and looks toward other solutions, CSX’s shipments can expect to steadily decline. However, corporate officials are confident in their ability to adapt and survive, so that could be a factor for you. This decline could still be worrisome if you currently own shares of course, but could provide useful for those looking to buy in at a low cost and have faith that CSX will adjust to the new market. In speaking of appraised value expectations for 2016, CFO Frank Lonegro was honest about poor performance in the first quarter. But how did the company actually perform? Performance was on par with expectations, proving Lonegro right. However, if he was also right about planned allocations of funds throughout 2016, CSX’s focus on improving and maintaining current railways could be a sign of better things to come. Better safety precautions taken means less risk for disaster which would pose and even larger issue for current investors. It is also of value to remember that one bad quarter does not mean the rest will all follow suit. The next paragraph will discuss a future opportunity that could mean a brighter future is on the horizon. CSX currently has one such business plan well underway. Announced in January of this year, CCX facility project is a plan to create a new freight rale infrastructure and hub in Florida. CSX claims this will improve earnings after it is complete, just as the automotive industry did in the past, so this may provide some hope for further on down the line. For those looking to buy in, this could be a good time for them to do so. That spells good things for current shareholders like yourself. The CCX facility may bring vitality to a company that appeared to have been floundering as of late and this is an important consideration for you and fellow investors. This new facility, in addition to other changes and adjustments the company no doubt needs to make, can help to improve future outlook for CSX and its shareholders. It appears that those plans CSX has for the future have instilled hope in shareholders and potential investors. CSX is currently poised for the biggest gains the company has had in over 36 years. This promising uptick in railroad stocks is true across the board, not just for CSX. 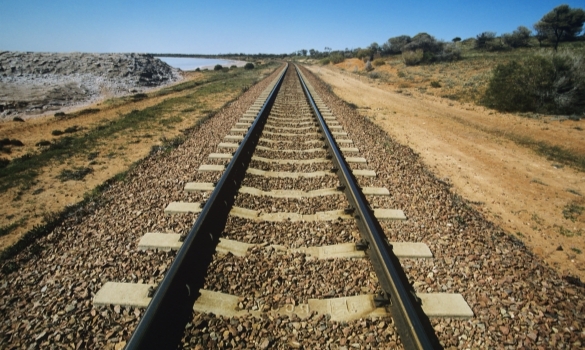 The past months have shown incredible growth for the railroad company’s share prices. This news proves that business success is still possible through CSX plans. It also proves the point that it pays to be patient when investing in the stock market. Coal freight train revenues are expected to grow in the upcoming years. Domestic coal volume is lessening, but export volume is still predicted to increase. However, the decline in coal volume will not leave the export volume untainted. Instead, it will slow down the progression of the export volume. These expectations are based off of multiple elements. Firstly, the price of global benchmark coal prices is rising, making U.S. coal more appealing part of recent American business trends. Secondly, the same pattern has been recorded throughout the previous quarters. Because of these factors, you can expect a growth in freight revenues. As a current shareholder in CSX corporation you are sure to have some concern about the corporation’s future after witnessing its poor performance as of late. It is important to remember that every business, including the crane business, eventually hits a rough spot. The real question is whether you, the shareholder, believe in CSX’s ability to adjust to the changing market and implement solutions as soon as possible to increase shipments and revenue. Consider the CCX facility project currently underway and weigh this against decreased shipments and poor Q1 performance. While things may not look so good for CSX Corporation, better times seem to be within reach. This may help to ease any worries you may have, but continue to stay posted on news of recent goings-on in the corporation to stay informed.